Bathrooms are an important part of the home, so it is a good idea to take your time to get things right when you are designing them. They look simple, but there are a lot of different factors to consider. Your choice of fittings, how you arrange the room, and even technical details can have an impact on your comfort and even your safety. It can be a challenge, but anyone can get through the task to get a decent bathroom if they put the work in and keep a few things in mind when producing the design. Size does not matter nearly as much as many people think it does. You can fit everything that you need into a relatively small bathroom if you take the time to organize it properly and use the right fittings to conserve space. Beyond using specialized items to save space, you can also take advantage of your vertical areas to get more usable room. Building tall shelves gives you more storage space without taking up more room on the floor, which makes it easier to stay organized. Mounting lights on the ceiling rather than the wall can conserve wall space for items that cannot go anywhere else and often provides better lighting. Using a combination of all of these methods is usually your best bet if you want to save space, and most people can get an adequate bathroom in almost any house by using them. It is absolutely vital that you make sure that your bathroom has a good ventilation system. Part of that importance is for dealing with odors, but the real importance is dealing with moisture. 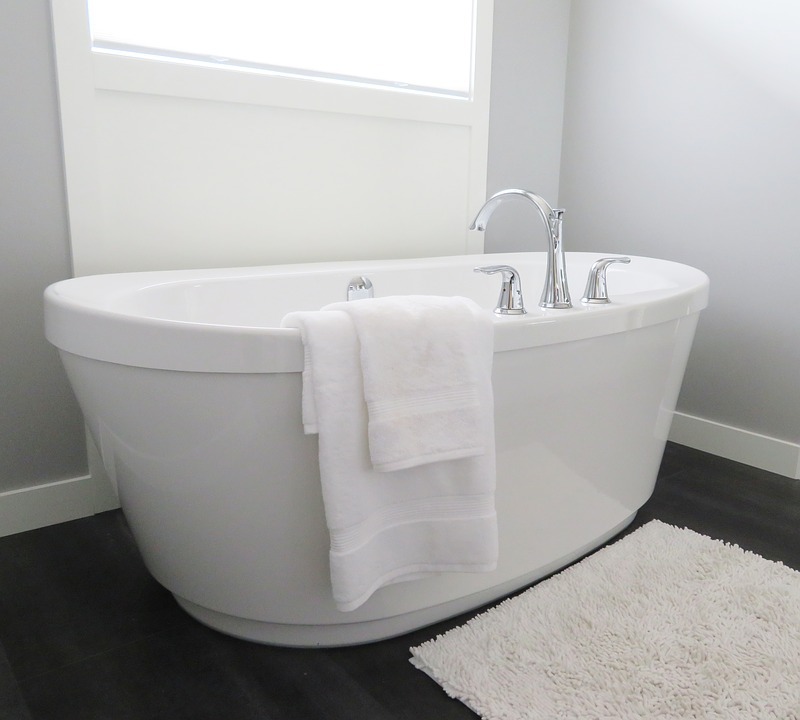 Bathrooms naturally accumulate a lot of water in the air, and that water can cause damage to the walls and fittings if you do not deal with it. Simple solutions are best in this case. A few windows will do a lot of good on their own. They can provide a lot of airflow while also providing some pleasant brightness and fresh air during the day. A good fan is also a vital addition because it can pump moist air out of the room and keep things circulating. Combining the two should be sufficient for the vast majority of bathrooms, as long as the systems are designed and installed properly. Bathrooms can be much more dangerous that people think. It is fairly common for people to slip and fall in them, since the floor naturally gets a little bit wet as people use bathtub. That makes the floor slippery, which causes people to have dangerous falls. That means that you need to try to include a floor that offers plenty of traction. On the other hand, you also need a floor that can survive extended exposure to moisture. It can be hard to balance those things, since many surfaces that offer stability are also vulnerable to water. One of the best compromises is to use a tile floor with rubber mats over the most dangerous parts. The rubber keeps people from slipping, while the tile resists water easily and provides a chance to give the floor an interesting and attractive pattern. The last step to designing your perfect bathroom is taking the time to decorate it. You can easily get swept up in all of the technical details and forget that it is important to make sure that it also looks good and makes you feel comfortable when you use it. Your heart should be your guide when decorating, but there are a couple of things that are broadly popular and deserve some consideration. Most people prefer to decorate their bathroom in fairly gentle colors, but it can be a good idea to add a bright pattern or some decorations on the wall to break it up. Fresh flowers can be a great addition during the spring, and potted plants can thrive at any point during the year. Be sure to add enough lighting to keep it illuminated without being so bright that it hurts your eyes when you stumble into the bathroom in the middle of the night!